As you know, I've been setting up at quite a few markets these past few months. Because I've been going through so much merchandise, so quickly, I started making signs, as fillers. Well, my signs started gaining popularity. "Will you be making any more? ", has been a frequent question. Something else to do with all the salvaged wood I have lying around. 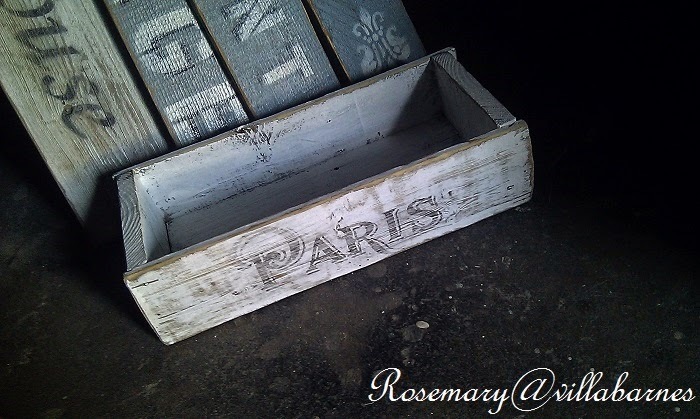 I'm making salvaged wood boxes too. Having fun with my power saw. 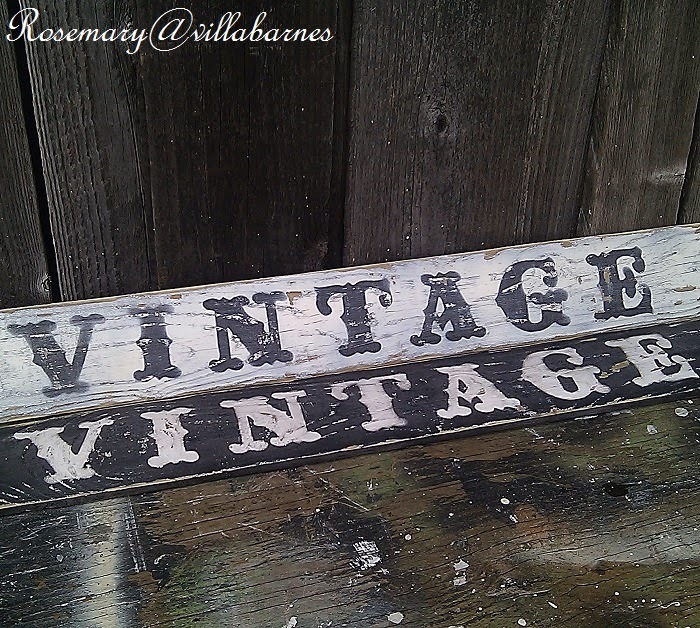 Those vintage signs - just perfection! 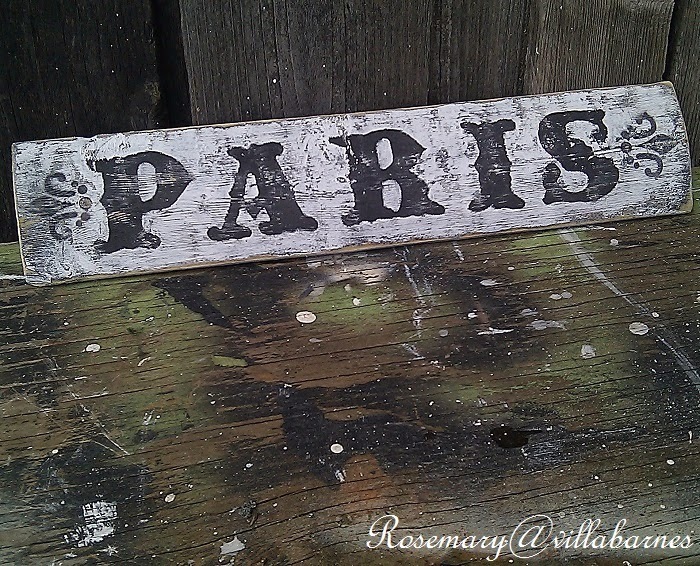 And I love that little Paris box in the last photo. I have a box like that I've been trying to get to. Thank you for the inspiration! Love them. 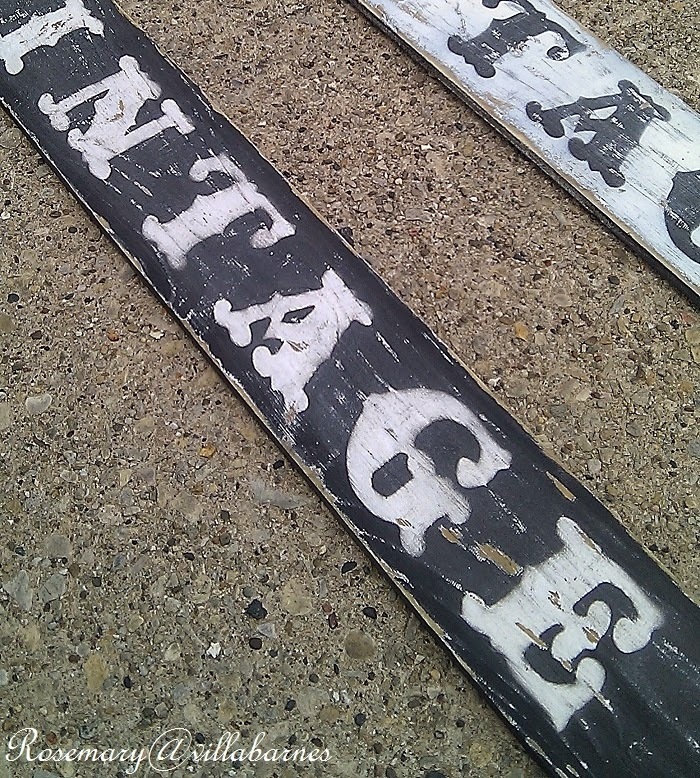 We sell a lot of signs and painted boxes too. There is just something special when it is done by hand not a machine. Keep up the good work you are very talented. 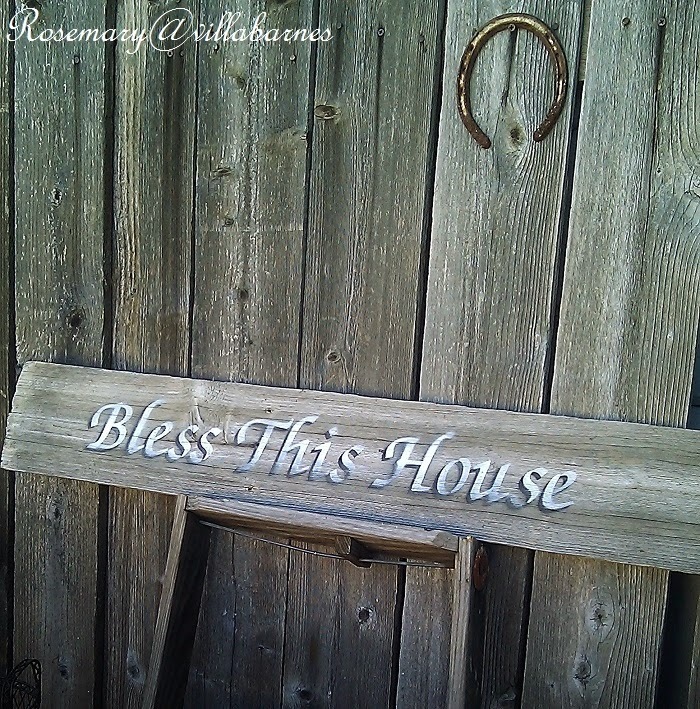 I love signs like that and the wood box is gorgeous too. No wonder they're so popular! Hi Rosemary love the signs and boxes. You've been one busy woman! 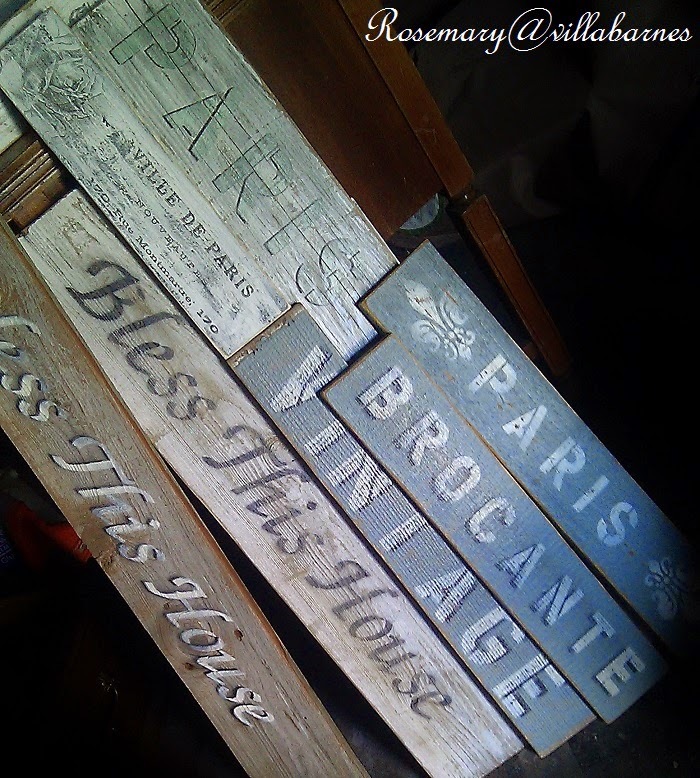 I've made a bunch of these too ( pallet pieces ) but yours are gorgeous - like everything you create - just love these! Oh Rosemary your talent never ends. I love the signs and the boxes are awesome too. Have a great Sunday. Love all your signs, Rosemary! I can see why they are so popular! I've seen a lot of signs in blogland and yours are absolutely the best! Love your signs Rosemary! Are you still selling on Zibbet or taking a break? Rosemary , love the signs and boxes !! In fact I love everything you do ! You are so talented !! 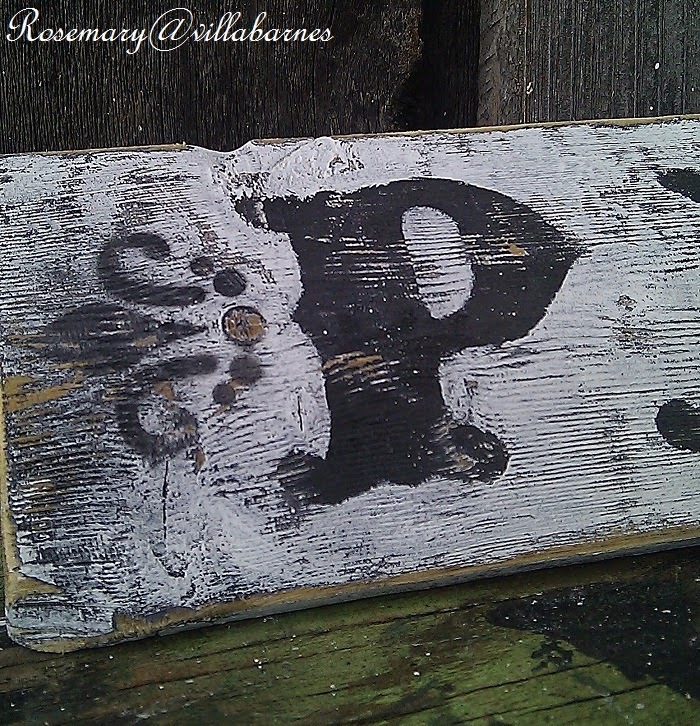 Rosemary, Your vintage signs are so cool! Love them. I do have the perfect spot for that Paris box, thanks for the great idea. My father-in-law passed away a few months ago. He was a wood worker by hobby. 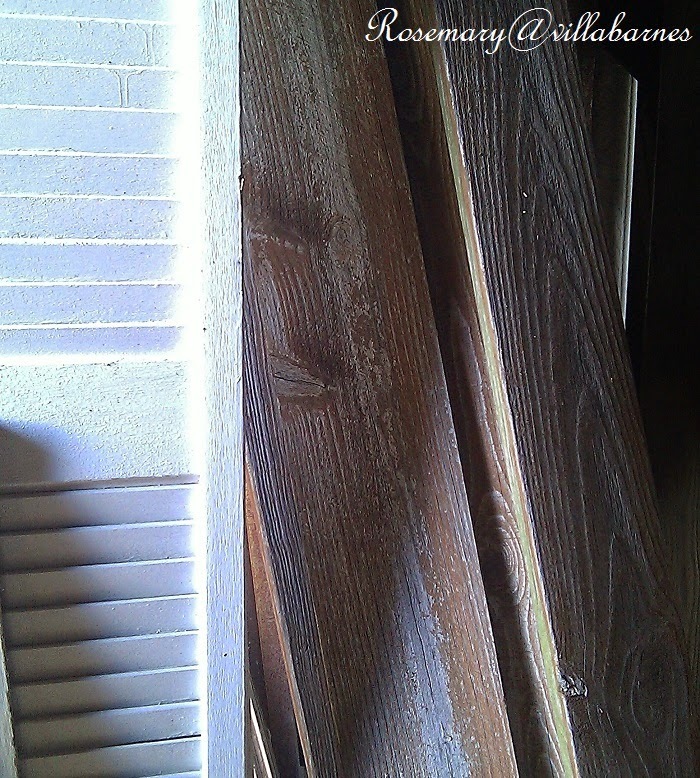 My husband and I went in his workshop and found loads of wood scraps, so great pieces that he'd probably had in there for 50 years. Needless to say, we got some great finds and memories! No surprise that you can't keep these in stock. Love them all and the boxes too. Oooh, la, la! I just love your Frenchy signs, Rosemary! 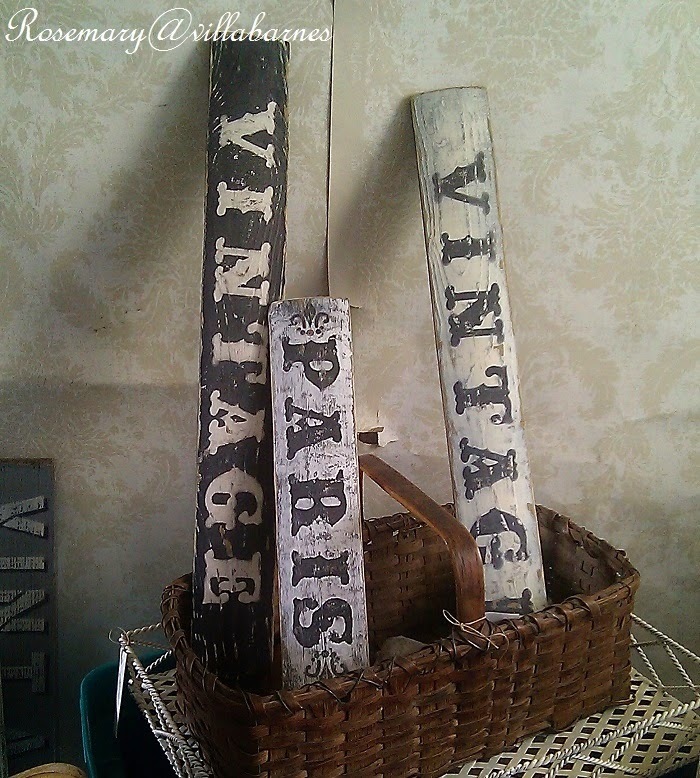 What a great way to transform scrap wood!! Rosemary, these signs are wonderful...and the boxes! It is no surprise that these sell quickly! Love these. Do you have an Etsy site?